The South Korean giant warned about tougher competition ahead of Apple’s annual iPhone launch. Samsung Electronics said Thursday it was planning to launch in the second half of this year a new flagship phone, leading to speculation that the company is planning an alternative to the ill-fated Galaxy Note7 that had to be recalled last year. The launch of a new flagship smartphone this year and continuing sales of the Galaxy S8 and S8+ will help Samsung counter Apple’s launch of a new version of its iPhone. Apple usually unveils new phones in September. A Samsung spokesperson said the company cannot comment on “the future product plan.” However, Samsung Mobile president DJ Koh confirmed earlier in the year that “a better, safer, and very innovative Note 8” will launch at some point. The company started shipping its Galaxy S8 and S8+ smartphones from April 21 in the U.S. and certain other markets. The company said pre-orders for the two smartphones were higher than they had been for the predecessor Galaxy S7 and S7 edge, launched in March last year. 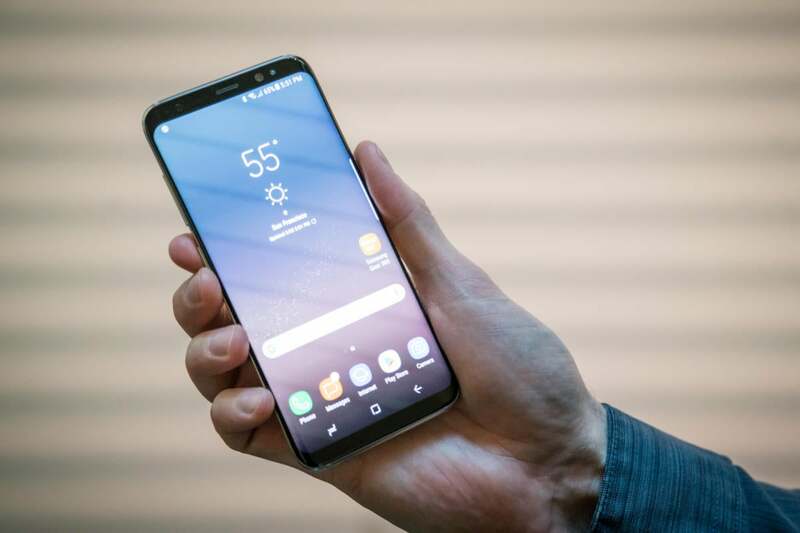 The S8 ran into complaints about red-tinted screens and problems with the Wi-Fi connection for which the company is reportedly issuing a software fix. The company also decided that the voice feature on its Bixby voice-activated personal assistant would be available in the U.S. only later in the spring. Samsung stopped production of the Note7 in October after complaints that the phone batteries had in some cases overheated and even exploded. The company blamed batteries supplied by two manufacturers for the problem. On Thursday, the company’s IT & Mobile Communications (IM) division, which includes the company’s smartphone business, reported a drop in revenue and profits in the first quarter, which the company blamed on adjustments of the prices of the S7 and S7 edge. The revenue of the division was down by close to 15 percent to 23.5 trillion won ($20.7 billion) from 27.6 trillion won in the same quarter last year, the company said Thursday. Operating profit also dropped by 47 percent to nearly 4 trillion won. Smartphone shipments increased slightly in the quarter because of the newly released mid-range Galaxy A 2017 series and strong sales in emerging markets of mid- to low-end phones, Samsung said. The new flagship smartphone and the global rollout of the Galaxy S8 and S8+ are expected to help the division increase revenue and profit. But the company said that competition is expected to intensify in the second half as a result of the rollout of new smartphones by rivals, in what appears to be a reference to Apple’s launch of a new version of the iPhone later this year. Samsung cannot ignore the impending launch of the 10th anniversary iPhone as there is already so much hype building around it, Kaur said. In emerging markets such as India and Indonesia, Chinese vendors such as Oppo and Vivo have been relentless in their pursuit of market share, she added. “They are doing this in the mid-range segment which is very important for Samsung as well in these markets,” she added. Samsung said it will look to stay profitable in the mid- to low-end segment by launching new products and streamlining its lineup. The company’s overall revenue growth in the first quarter was almost flat at 50.55 trillion won in the first quarter. The operating profit grew by 48 percent to 9.9 trillion won mainly on stronger demand for the company’s components like memories and displays.